Beyer Carpet Cleaning San Antonio is dedicated to excellence. 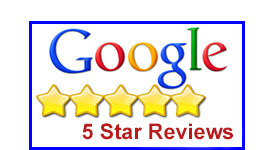 Not only in the field of carpet cleaning but also in customer service. 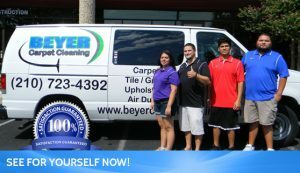 Beyer Carpet Cleaning is dedicated to excellence within their technicians and administration staff. The field of carpet cleaning is filled with lots of different carpet cleaners. On the low end you have those carpet cleaners who looking to make a quick buck so they don’t care if your carpets are properly and thoroughly clean. Then on the high end you have carpet cleaners who offer the best service and carpet cleaning but will charge you more than you want to spend. With Beyer Carpet Cleaning you get the middle of the pack which means they provide the best prices for the best quality carpet cleaning, tile and grout cleaning, and upholstery cleaning San Antonio. Beyer Carpet Cleaning offers fair and reasonable prices through out the year. Along with their reasonable prices Beyer also offers highly trained carpet cleaning technicians and the best customer service. Beyer offers an 1-2 hour window of arrival and will if they are running any later then the window of arrival. The technician will do a walk through of your home so he can discuss any areas of concern with you. Then he will begin to clean. Once the cleaning is done another walk through is offered so you can make sure you are satisfied with the carpet cleaning. If you are not satisfied you do not have to pay until Beyer has done all they can to make you happy which part of Beyer’s satisfaction guarantee with all of their Best Service Packages. Beyer Carpet Cleaning is dedicated to excellence in all the mentioned fields. If they do not meet your standards all feed back is welcomed and they will do what they can to fix the situation. So give Beyer Carpet Cleaning a call today to experience their dedication of excellence.